Accessories maketh the outfit. This couldn't be truer for these luxe beaded earrings. They're dramatic without being bling, and dressy without being try-hard. I've mostly been wearing them with cool summer whites and maxi dresses for a boho, hippy vibe - they're great for festival season. But for after dark, you can afford to go for a more slinky affair; think solid colours such as black, white or gold to achieve the high-octane glamour they conjure up. Remember, less is more. A simple LBD and these earrings will speak volumes. Now, they may be long - at approx 18cm, they hang down to your shoulders - but I promise that they're not at all heavy. I like how the multi-stranded ends shimmy as you move And I like the price even more - a rather bargainous £2.50 from Primark. Reassuringly expensive looking, but as cheap as chips. I love. A lot. Would never have guessed that they're from Primark. Great find. Hope the quality is as good as they look. The earring hooks are a bit cheap, but otherwise they're great! 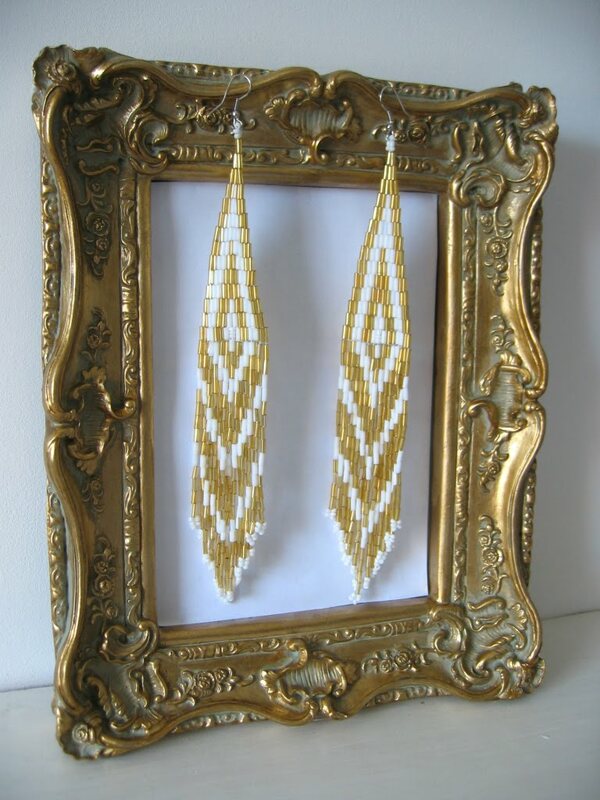 I've seen similar beaded pieces by Wilde Ones and Fiona Paxton, but these are soooo much cheaper and just as nice.